The researchers are using a remotely-operated vehicle (ROV) to collect data about the impacts of natural seepage versus large, abrupt oil impacts in deepwater ecosystems. 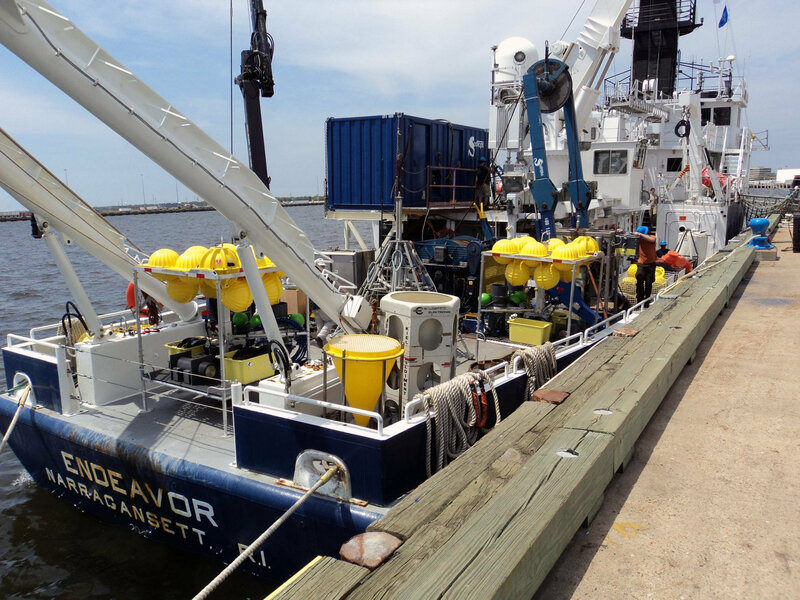 The ECOGIG research cruises will visit natural seep sites in the northern Gulf of Mexico, sites impacted by the Macondo blowout, including deepwater coral sites, and control sites. Highsmith is the director of the Gulf of Mexico Research Initiative (GoMRI) ECOGIG consortium which brings together physical oceanographers, marine biologists, and chemists from 14 research institutions to understand the impacts of hydrocarbon inputs in deepwater ecosystems in the Gulf of Mexico and to chart the long-term effects and mechanisms of ecosystem recovery from the Deepwater Horizon incident.